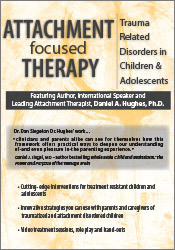 Daniel A. Hughes, Ph.D. is a clinical psychologist specializing in the treatment of children and adolescents who have experienced abuse, neglect, trauma and attachment disorganization. He helped to develop Dyadic Developmental psychotherapy, an attachment-focused treatment model that relies on the theories and research of attachment and intersubjectivity. He is known for creating the PACE Model which facilitates play, acceptance, curiosity and empathy when working with children. 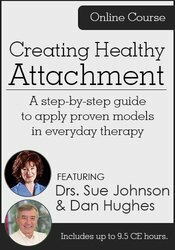 Dr. Hughes is the author of several books including, Building the Bonds of Attachment, 2nd edition, (2006), Attachment-Focused Family Therapy Workbook (2011), and co-wrote Brain-Based Parenting: The Neuroscience of Caregiving for Healthy Attachment. He has provided training and consultations to therapists, social workers and parents throughout the US, Canada, UK, and Australia and provides regular trainings across the United States and Europe. Dr. Hughes received his Ph.D. in Clinical Psychology from Ohio University.